MPD Pikosekunden-Delay ist ein Modul, das Ausgangsimpulse mit vom Benutzer wählbarer Verzögerung und Ausgangsimpulsdauer erzeugen kanny. 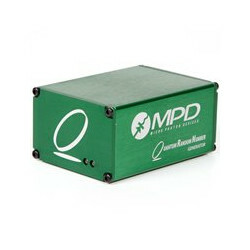 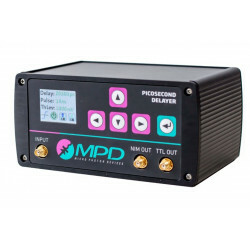 MPD Picosecond Delayer is a module capable to generate output pulses with user-selectable delay and output pulse duration, in respect to the rising or falling edge of the input signal. 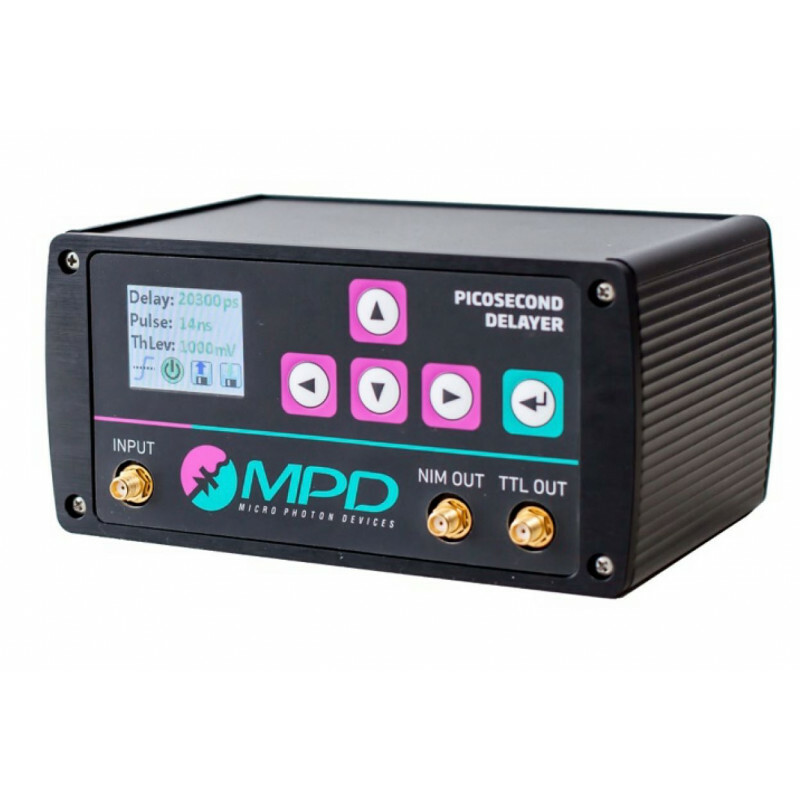 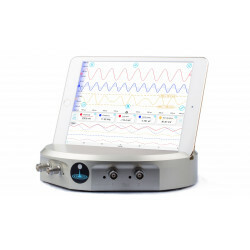 This new instrumentation, completely based on solid-state components, sets a new milestone with best in class precision, time-jitter and stability over a wide range of temperatures, not even matched by standard coaxial cables.